Pearl Certified Gold home for energy efficiency. 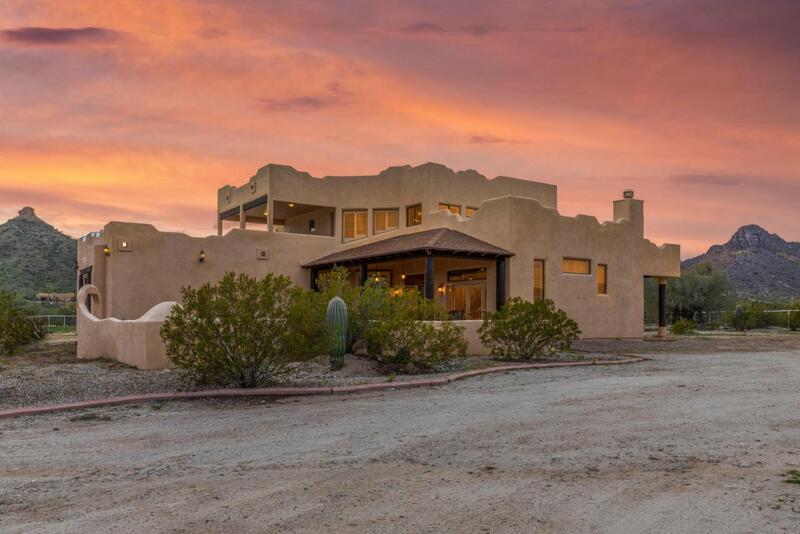 Custom built 2 bed, 3 bath home that has 360 degrees of beautiful mountains from every angle. 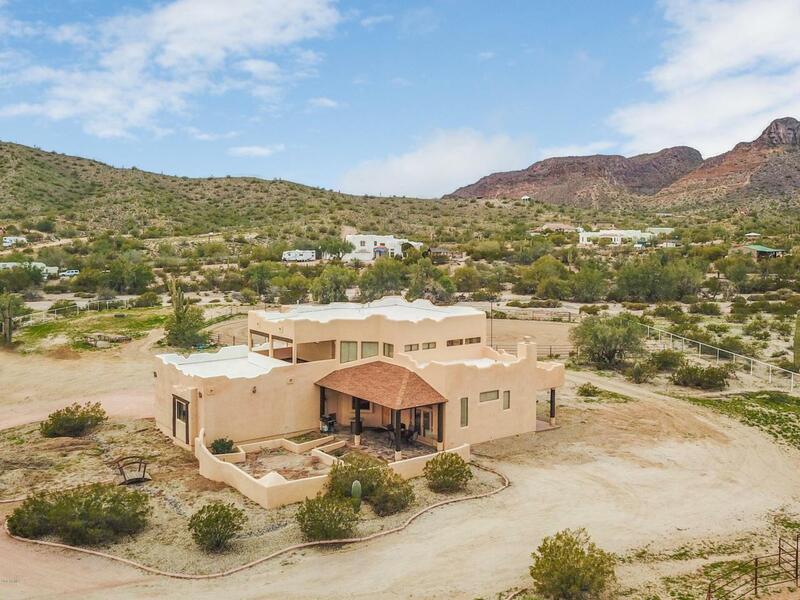 Featuring a gourmet kitchen w/ granite counters, upgraded custom cabinets, dbl ovens, oversized gas stove, and breakfast bar/island. Split dbl masters, each w/ private patio or balcony, glass block walk-in showers. Additional balcony off of the 19x22 loft. Custom plantation shutters t/o. 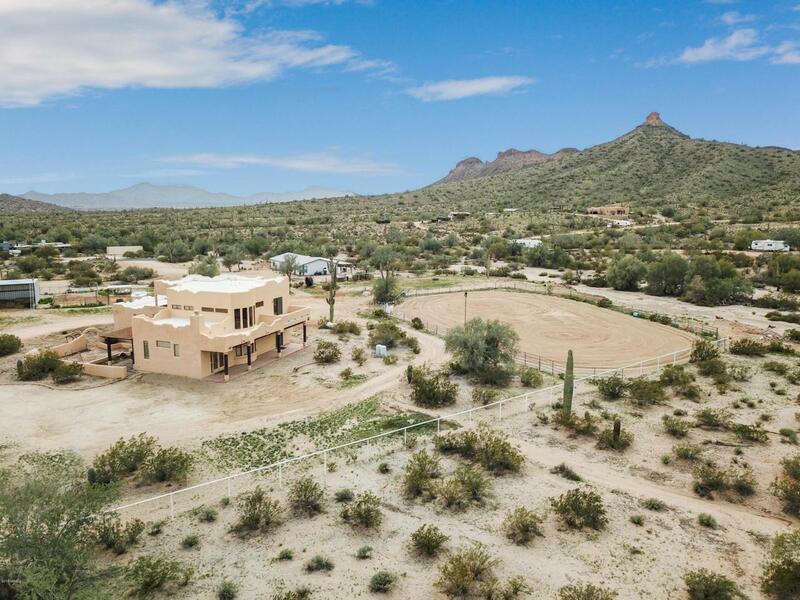 Attached 3 car garage w/ extended height ceilings. 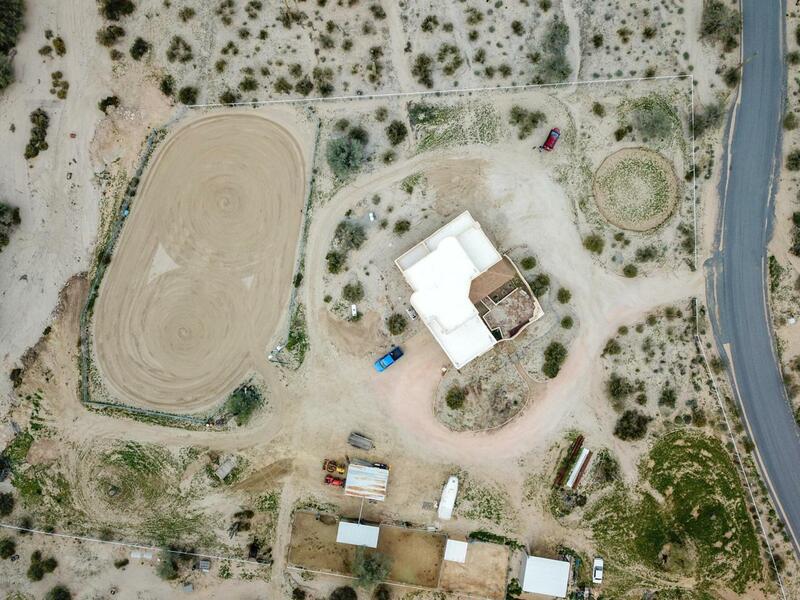 With over 3.5 acres, this horse property has 3 watered stalls w/ room for many more, 50ft diameter round pen, hay barn, 200x100 arena w/ lights. Pvt well and oversized septic. Plenty of room in loft for a third bed. Roof recently replaced and both heat pump ACs were replaced in 2017 w/ 16 SEER high efficiency units.